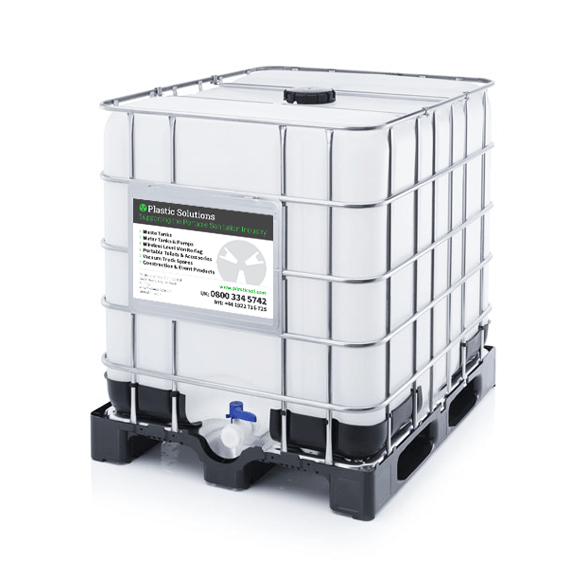 Our NEW 1000 litre Intermediate Bulk Container (IBC) is the perfect solution to supply water to toilet blocks, site welfare units or showers, indeed, for any application where you can't easily access mains water. 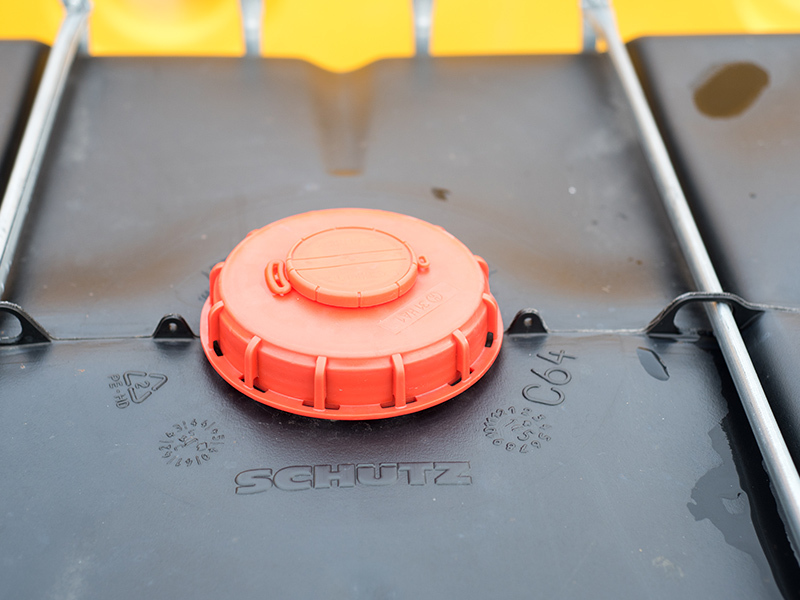 Equipped with an integral drain valve for a gravity feed, we also supply a range of fittings, hoses, manual and electric or petrol-powered pumps, the latter to deliver water under the same pressure you experience at home. 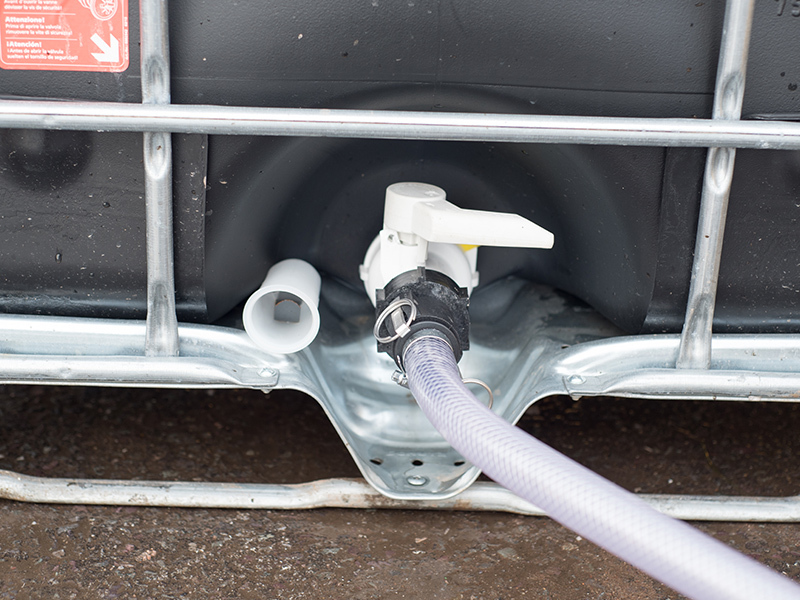 An IBC can also be coupled with a pressure washer for cleaning applications where no mains water is available. 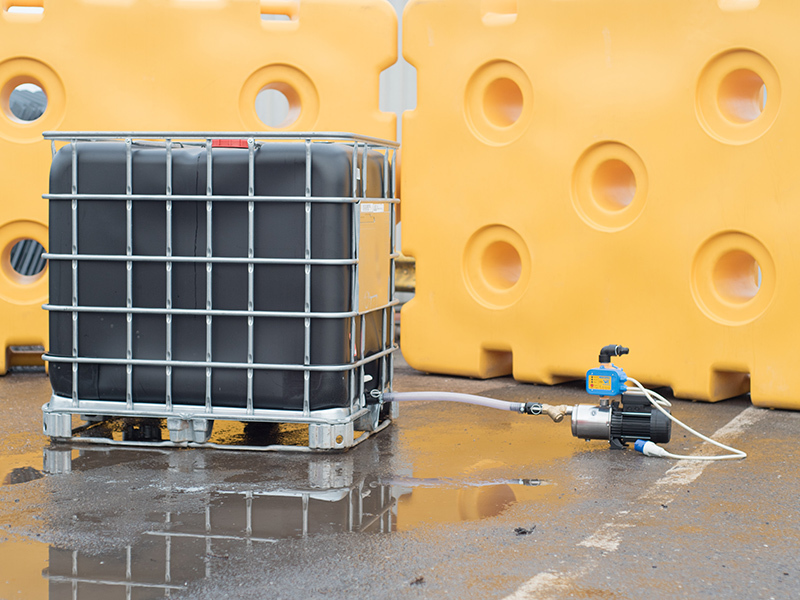 This IBC is suitable for potable water / food grade material and will be of particular use on construction, outdoor event, catering and/or leisure sites where potable water for welfare facilities is a standard requirement. 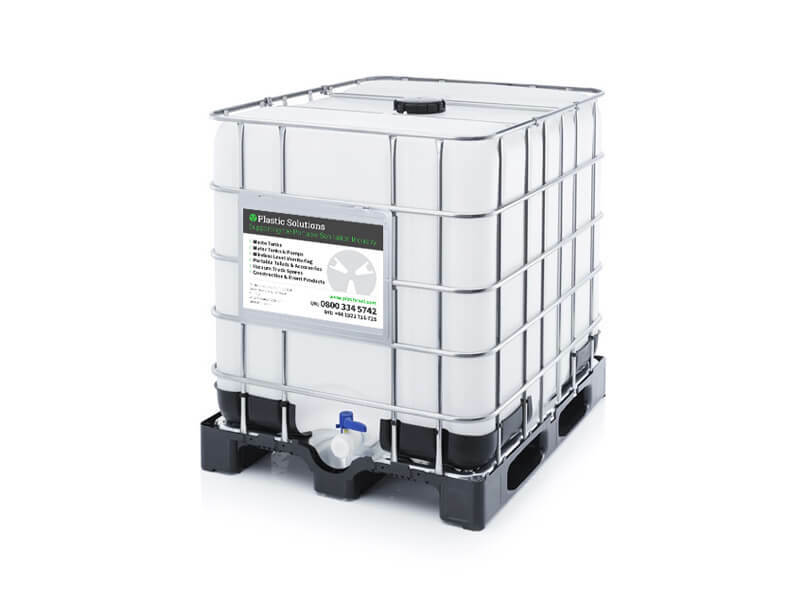 Certified as new and rated UN 31HA1/Y / BAM12257. 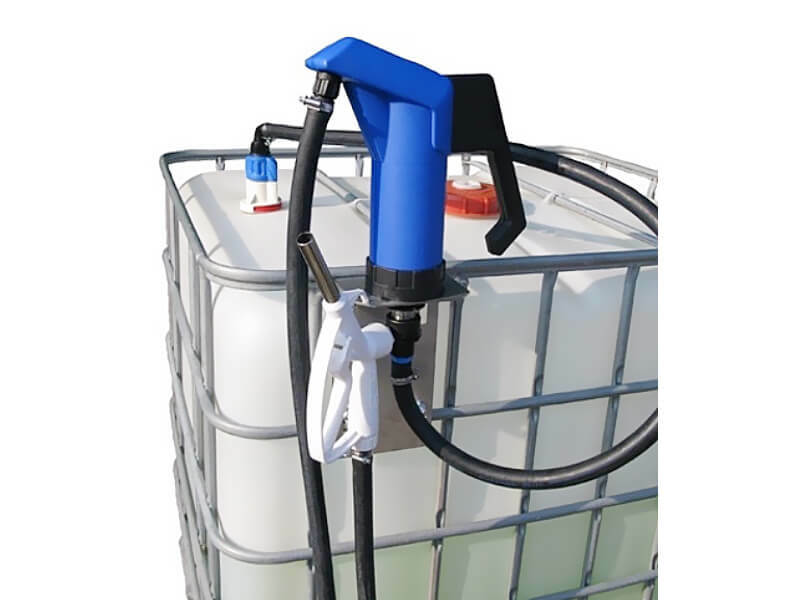 This IBC is supplied with an aluminium foil-sealed 2" drain tap, 6" vented filler cap, protective metal cage mounted on a metal pallet base. 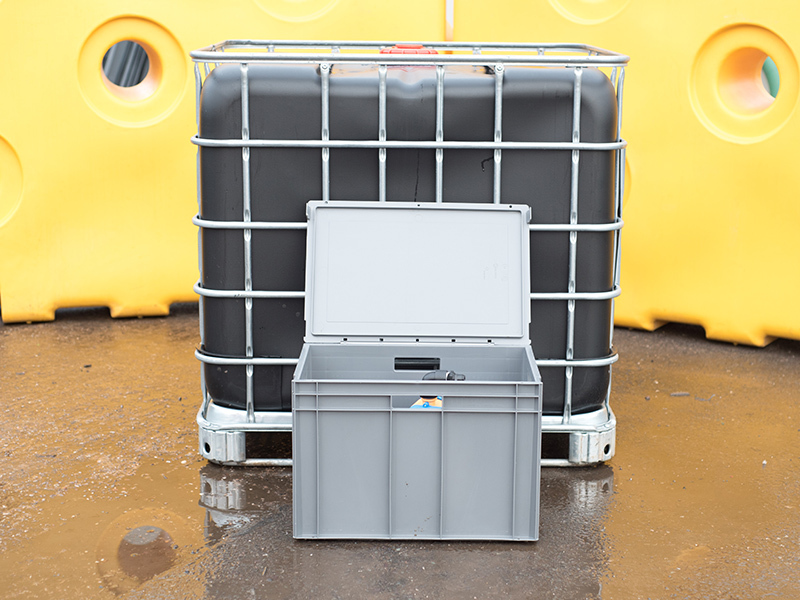 They are able to support 1650 KGs of weight: rated to stack two units high, filled with water, or 4 units high when empty (see Technical Data, below).